Home Egoism Who should you hire—and how to get hired? At a recent Objectivist conference (OCON), Lars Christensen, a co-founder of the Danish investment bank Saxo Bank, gave a presentation about the influence of Ayn Rand’s philosophy on his life and business success. He was asked what he looks for when hiring people—one of the most crucial decisions in business firms, given that hiring a wrong person will cost you a lot and could even ruin your business, and it is the employees’ productiveness on which a company’s value creation and survival depends. As John Allison, another banker and the retired CEO of BB&T, has said: the competitive advantage of the company lies in the minds of its employees. Reflecting the importance of hiring decisions, Mr. Christensen said that as CEO, he tried to be involved in all hiring interviews (although once the bank grew to over 1,000 employees, it was no longer feasible). He highlighted four characteristics or qualities he sought in an employee: values corresponding roughly to those of the bank, persistence, intelligence, and practical experience (over academic credentials, although that depended on the position to be fulfilled). Saxo Bank’s statement of values during Christensen’s tenure as CEO (until 2016) were aligned with the virtues of Rand’s rational egoism: rational, fact-based decision making; independent thinking, integrity, honesty, justice, productiveness, and pride. As I have discussed all of these in this blog and cover them in my book, I will focus more on the other qualities Christensen discussed, particularly persistence and practical experience, and on their implications both to employers and job seekers. Why is persistence, “the fact of continuing in an opinion or course of action in spite of difficulty or opposition,” a virtue? Although not one of the seven basic virtues of egoism listed above, like them, persistence also is a means of human survival and flourishing, including in business. There is an element of persistence in all of the basic egoist virtues. Most jobs, even simple ones such as office cleaning, require problem solving, at least to discover ever better ways of performing the job. In more complex jobs, such as engineering, problem solving is at the core of the job: say, resolving how to utilize machine learning to for more accurate medical diagnosis and treatments. While problem solving first and foremost requires rationality—adhering to facts—it also requires persistence, because knowledge doesn’t come to us automatically but requires effort, with possible errors and failures along the way. Employees who don’t persist in problem solving (and want others to give them the answers) can’t offer much value in exchange for their salaries. Independent, fist-handed thinking is also a virtue in solving problems. Holding on to one’s reality-based conclusions in the face of opposition by others requires persistence. The Wright brothers, (or any other innovators), would not have succeeded in their invention of the airplane without persistent confidence in their own observations in the face of public skepticism and even derision. Similarly, adhering to integrity, honesty, justice, and pride requires persistence. To help achieve values, these virtues cannot be practiced just now and then. They don’t mean just occasional acting on principle, refusing to fake facts, evaluating and treating people objectively, and doing one’s best when one feels like it. 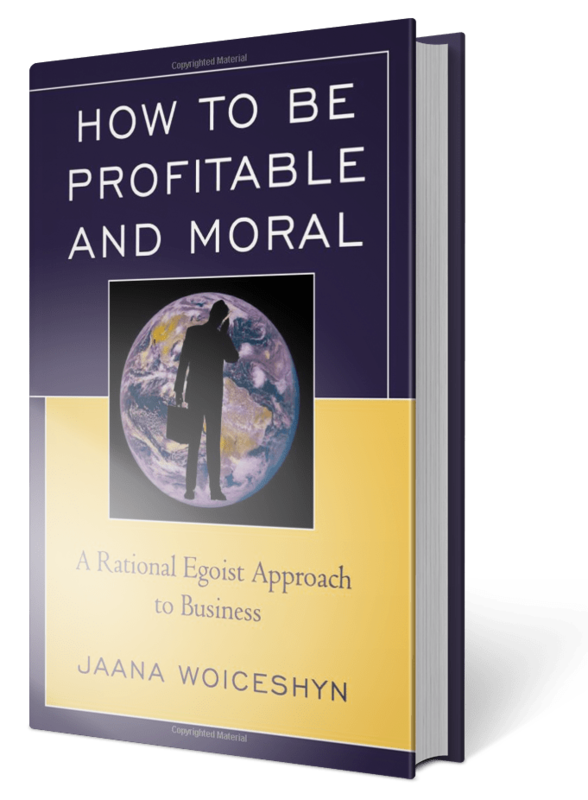 To be productive, to produce material values—better products and services, more efficient production processes, better service delivery—requires that employees persistently practice the egoist virtues. That is why successful business people like Lars Christensen look for evidence, not only of the basic rational egoist virtues in the people they hire, but also of persistence. While having earned academic credentials indicates persistence (at least in some disciplines still), practical experience shows a capability to produce material values or to contribute to their production. If you are on the other side of the hiring decision—looking for a job—possessing, or cultivating, the qualities Mr. Christensen seeks in employees, will help. If you are a student, this means trying to gain practical experience, even outside of your field, through summer jobs or co-op programs, or enrolling in courses where you gain hands-on experience in applying academic knowledge. If you are a recent graduate and lack practical experience and cannot find a job, you could offer to volunteer or intern at a not-for profit organization that matches your values, to gain experience. And most of all, besides the seven basic virtues of rational egoism, you should practice persistence to solve the problem of finding a job—or hiring the right person. With such guidelines, the values you seek will eventually be yours. Excellent intergration of persistence! Achieving values requires persistence.